At its upcoming national convention, University Faculty for Life will award its Rupert and Timothy Smith Award for Distinguished Contributions to Pro-Life Scholarship to a graduate of the College, Dr. Thomas A. Cavanaugh (’85). 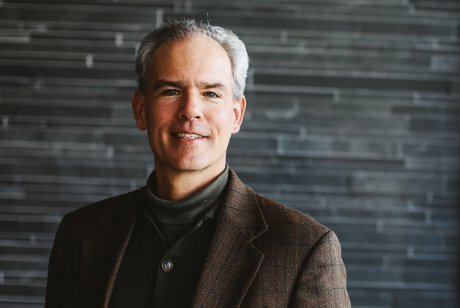 The organization, which presents the award annually to honor “scholarly achievement and service of the pro-life movement,” chose Dr. Cavanaugh for his work on medical ethics, particularly as it pertains to euthanasia. A professor of philosophy at the University of San Francisco, Dr. Cavanaugh is the author of Hippocrates’ Oath and Asclepius’ Snake: the Birth of the Medical Profession, which Oxford University Press published last year. The book examines the Hippocratic Oath through a broad survey of Ancient Greek myth, drama, culture, and language. Drawing on extensive research, it addresses the subject of physician-inflicted harm, particularly doctor-assisted suicide, which Dr. Cavanaugh finds to be antithetical to medicine’s therapeutic ethic. As a recipient of the Smith Award, Dr. Cavanaugh will find himself in select company. Past hnorees include such luminaries as Dr. Robert P. George, Dr. Hadley Arkes, and Rev. Robert Spitzer, S.J.